ZIFA could be handed a fine of up to US$1 million this week, the heaviest financial punishment slapped on the country’s football controlling body, should they be found to have breached the agreement to host this year’s COSAFA Cup senior men’s tournament. The association are set to face the COSAFA Disciplinary Committee in Johannesburg, South Africa, on Thursday with judgment likely to be handed down within 48 hours of the hearing. This means, by Saturday, ZIFA would have known their fate and the magnitude of the sanctions. However, ZIFA could avoid those sanctions should they, before the hearing is held on Thursday, come up with an alternative arrangement which guarantees the hosting of the region’s flagship football tournament in this country this year. COSAFA announced on Sunday ZIFA had been dragged before the regional body’s disciplinary committee and the case will be heard on Thursday. ‘‘The venue for the 2019 edition of the COSAFA Senior Tournament, scheduled from May 25 to June 8, remains undecided,’’ COSAFA said in a statement. ‘‘The Zimbabwe Football Association is now in breach of their Hosting Agreement, signed by ZIFA late in January 2019, and returned to COSAFA. ‘‘Following a Board meeting convened on March 9 in Zimbabwe, ZIFA reconfirmed their commitment to host the tournament in Zimbabwe, irrespective of whether they received Government funding and guarantees. ‘‘ZIFA management committed to presenting to COSAFA written confirmation of this decision no later than March 25. ‘‘Unfortunately, they failed to deliver on the nominated deadline which has left COSAFA with no recourse other than to enforce their Disciplinary procedures, which calls for ZIFA to attend a Disciplinary Hearing scheduled for April 4 in Johannesburg. The regional football body said the uncertainty over the hosting of the tournament had come at a wrong time, given the importance which the nations which have qualified for the 2019 AFCON tourney had attached to the event, with all of them hoping to use it to prepare for the Nations Cup finals. ‘‘COSAFA is, particularly, disturbed by the management of the process by ZIFA as 2019 is a critically pivotal year for football in the Sub-Saharan region. 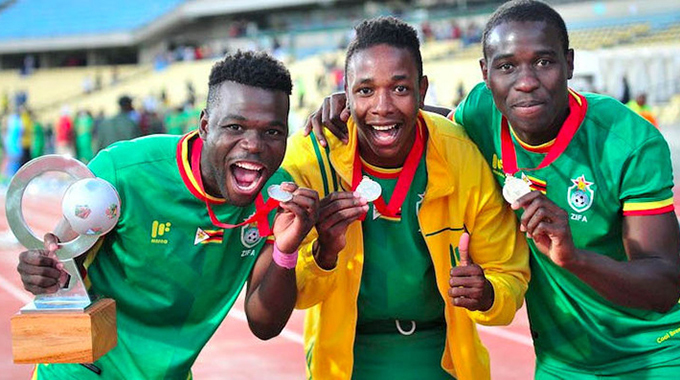 ‘‘For the first time in 21 years, five COSAFA member countries have qualified to participate in the continental show-piece, including Zimbabwe’s celebrated Warriors. ‘‘The COSAFA Senior Tournament has consistently proved to be a vibrant platform of opportunity for all competing countries, and in 2019 has become a key factor in pre-AFCON preparation for the successful qualifiers, with Coaches and team Management planning to use the COSAFA tournament to fine tune their training prior to the AFCON June 21 kick-off. Zimbabwe, South Africa, Madagascar, Angola and Namibia have qualified for the 2019 AFCON finals which is in stark contrast to what was the case, two years ago, when the Warriors were the only team from the region in Gabon. Youth, Sport, Arts and Recreation Minister, Kirsty Coventry, revealed the country could not host the 2019 COSAFA Cup, which was last staged here in 2009, because of the short notice available to host a tournament of this nature. The Herald can today reveal that the fine, for withdrawing from hosting the tournament, ranges from US$500 000 to US$1 million depending on the circumstances which the COSAFA disciplinary committee can establish related to the case. While the COSAFA disciplinary committee will use the regional body’s disciplinary code and the COSAFA competition rules and regulations to determine the case, what is critical here is that the regional body can also use the CAF rules and regulations, related to such cases, as and when they feel it’s appropriate. Article 92 of the regulations of Africa Cup of Nations deals with such cases and is clear in its pronouncements with a fine of US$100 000 for withdrawal notified two or more years prior to the final tournament, a fine of US$300 000 for withdrawal notified less than two years before the date of the final tournament. There is also a fine of US$500 000 for withdrawal notified within one year before the date of the final tournament, and a suspension at the next edition of the tourney, while a US$1 million punishment is inflicted on the association which would have withdrawn from hosting a tournament within six months before the start of the tourney. There is also a suspension, from the next two editions, of the tournament. The sanctions were imposed on Morocco after the North African nation pulled out of the hosting of the 2015 AFCON finals in the wake of the Ebola outbreak in some part of West Africa. The Morocco FA were slapped with a US$1 million fine by CAF, who used the same regulations, which can be applied by COSAFA to deal with similar cases. Morocco were also banned from the 2017 and 2019 AFCON tournaments. They were also slapped with an US$8 million fine for damages which CAF claimed to have suffered because of the decision by the Moroccans to withdraw from the hosting of the 2015 AFCON tourney. However, the Moroccans took their case to the Court of Arbitration for Sport which overturned the ruling made by CAF and even reduced the severity of the financial punishment from US$1 million to US$50 000.